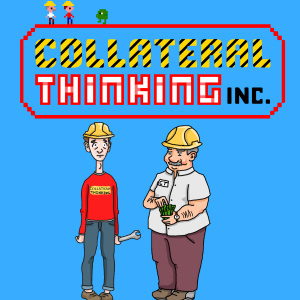 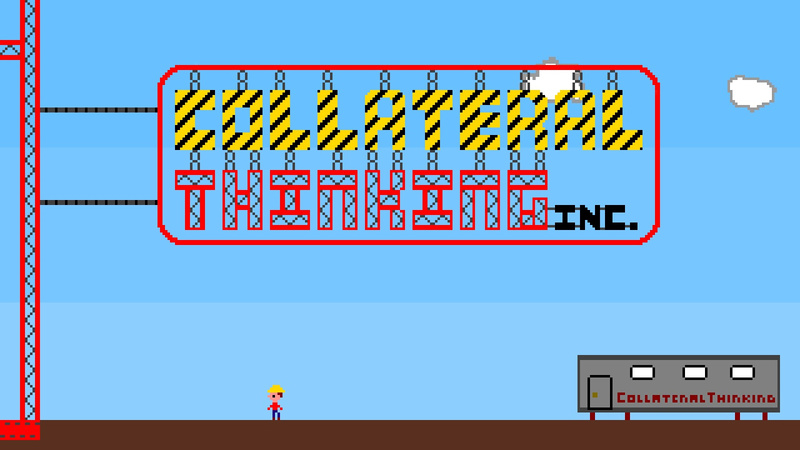 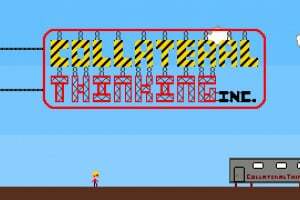 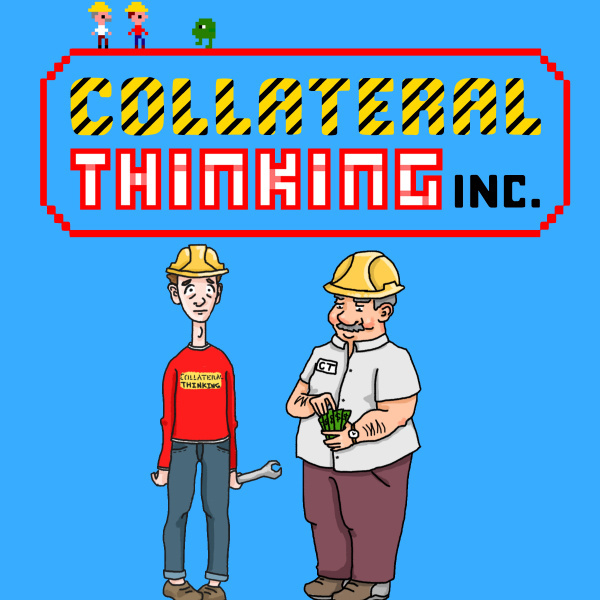 Collateral Thinking is an arcade-style action platformer for Wii U that's all about beating up alien ghosts, recovering blueprints, and rescuing billionaires on a tight schedule (and budget). 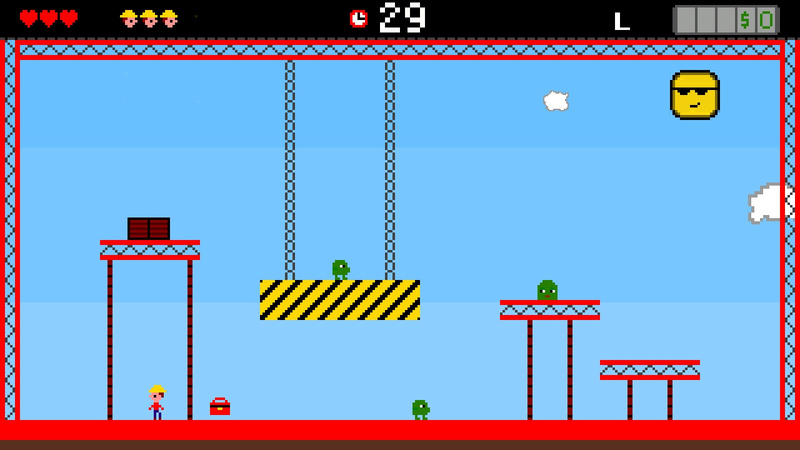 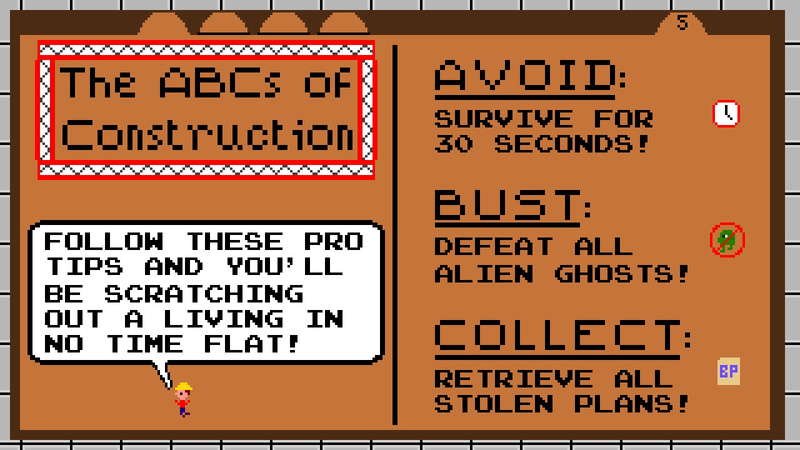 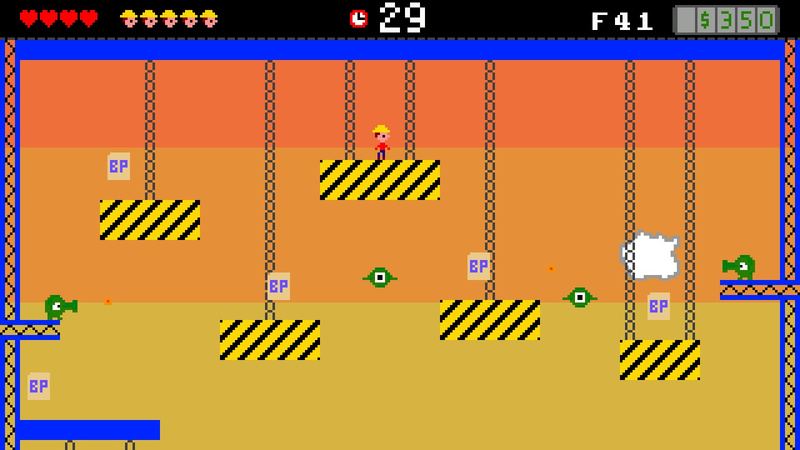 Each level is a self-contained screen that gives you one of three specific tasks to complete in 30 short seconds - to "Avoid" all the hazards, to "Bust" all the enemies, or to "Collect" all the blueprints. 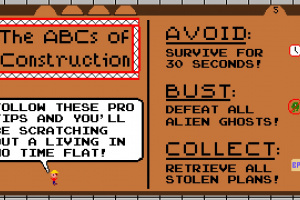 These quickfire challenges force you to quickly survey your surroundings and then jump into action in order to progress through the 100+ floors and net as much cash as possible along the way. 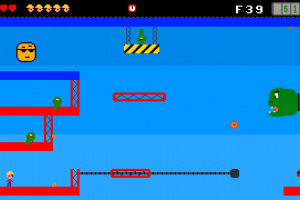 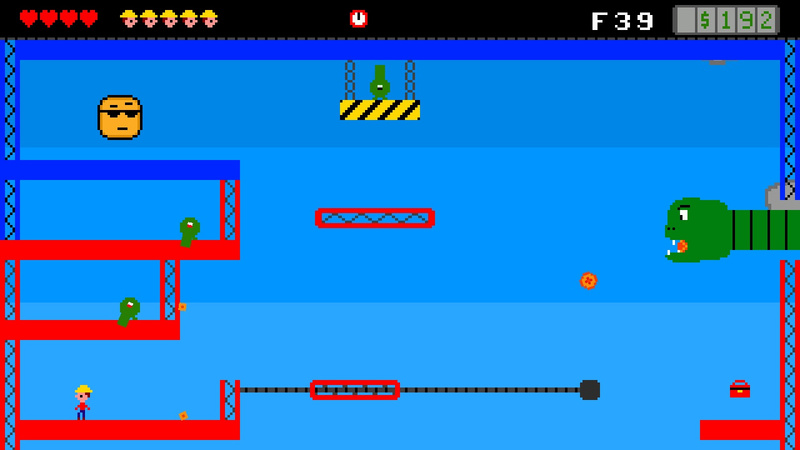 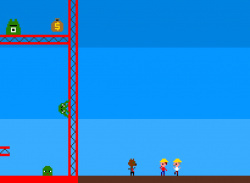 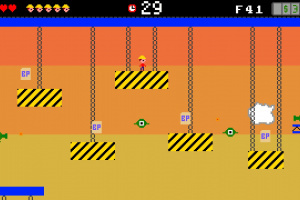 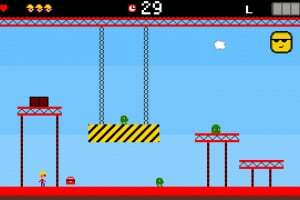 The game is meant to blend the core floor-climbing, obstacle negotiation of Donkey Kong with the original Mario Bros.' single-screen enemy hunting, and then crank up the speed, intensity, and absurdity while adding elements of Wario Ware's unpredictability and impulsivity to the mix.